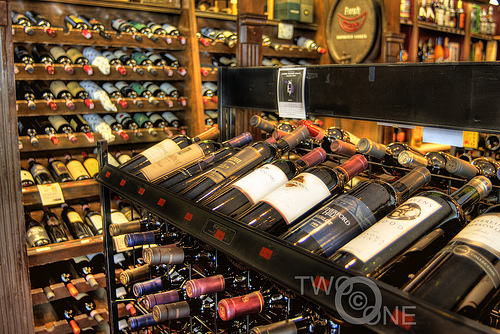 For me, wine stores are like bookstores: I relish the best of them for the hours of browsing potential they offer. While physical bookstores are getting scarce (new-book retailers have died off in the county where I reside and no longer exist here), thankfully, wine shops are plentiful. When a new one opens nearby, I check it out. When I travel, I seek out stores that come recommended. Home or away, I am invariably lured into a shop I stumble upon, curious to investigate its offerings. I browse for pleasure and for information, for discovery and for comparison. I look at prices and watch for deals. I note the breadth of selection by region. What do they have today from Spain? Here, their South American section; it looks a little thin. Over there, the inevitable Kendall Jackson Vintner’s Reserve – but are they pushing it? No, they seem to be promoting Piedmont reds. This store is selling Chateau Montelena’s 2010 Napa Valley Chardonnay but the one across town still stocks the 2009. When in London I’ve enjoyed popping into the Nicholas shop on the nearest high street, to peruse the French labels unlikely to show up on U.S. shelves. In Cambridge, Central Bottle always reminds me of the number of wines I haven’t heard of. For sensory overload, Italian-style, Manhattan’s Italian Wine Merchants is the place to linger. A store can be hushed and library-like; modern and minimalist; cramped or cavernous; outstanding or mediocre – it can hold my attention and renew my delight that the world of wine has so much to offer. If you’re going for the lowest price, yes, online shopping will generally meet that objective. But then you miss the whole point of browsing. This entry was posted in Shopping and tagged Central Bottle, Italian Wine Merchants, Nicolas, wine stores. Bookmark the permalink. When you come and visit (and you will), I highly recommend our 80/20 Wines in Pueblo. The name comes from the fact that 80% of the wines are under $20.00, but the quality is excellent. The owner is a former sommalier and knows his stuff. See? Another reason to visit!